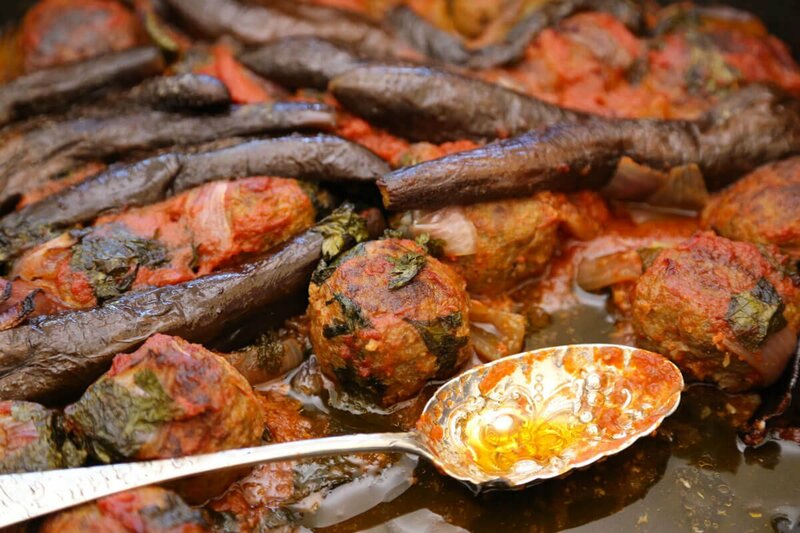 Spiced Meatballs with Baby Eggplants is a recipe interpreted from a delicious dish we had at our favourite lunch spot in Athens – Diporto. Kyrio Dimitri has been working and cooking at Diporto since 1957, from 13 years of age. He cooks real food with love, understanding and lots of olive oil. He can be a little gruff when he first greets you and he is kind of secretive about his recipes, but he loves nothing more than to see the dishes he serves you wiped clean and the smile of satiation and satisfaction on your face at the end of your meal. We first enjoyed this dish in July 2016, and on our trips back to Greece since then, if we have a few days in Athens, we’ll drop in for lunch to Diporto and make a special request for this dish to be prepared for us the following day. 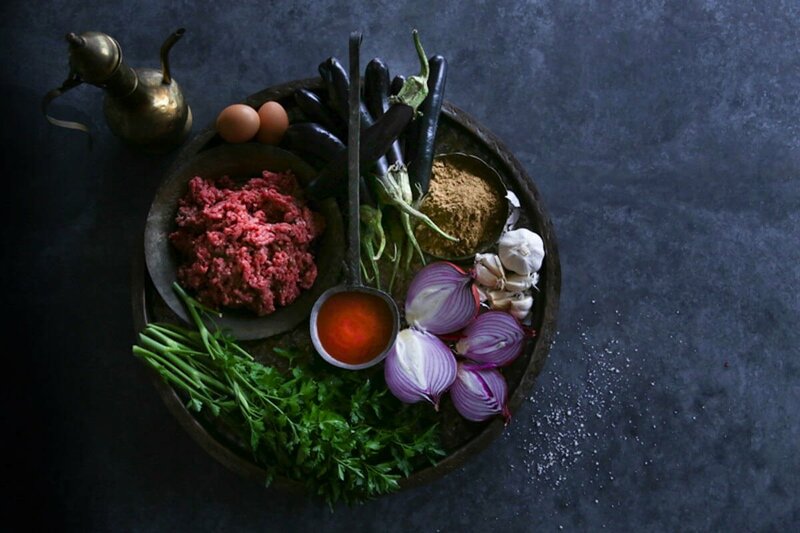 While eating this dish, I have tried to intuit the ingredients and the cooking process and then I have recreated it at home. It comes mighty close to the original and the best part is that everyone that has tried it, has loved it. Make it now and please let me know if you love it too! 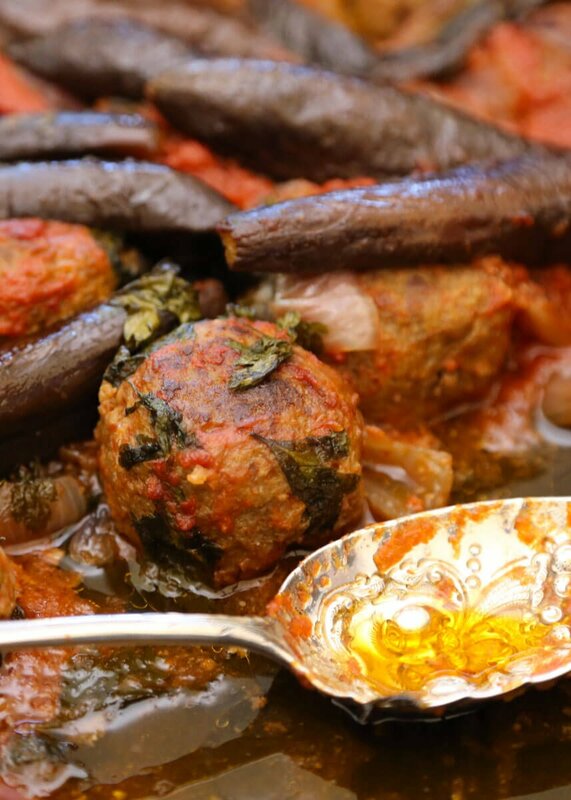 Spiced Meatballs with Baby Eggplants combines delicious cumin-spiced meatballs with tender, baby eggplants bathed in a gorgeous 'tomato olive oil sauce' and it's so dang goooooood!